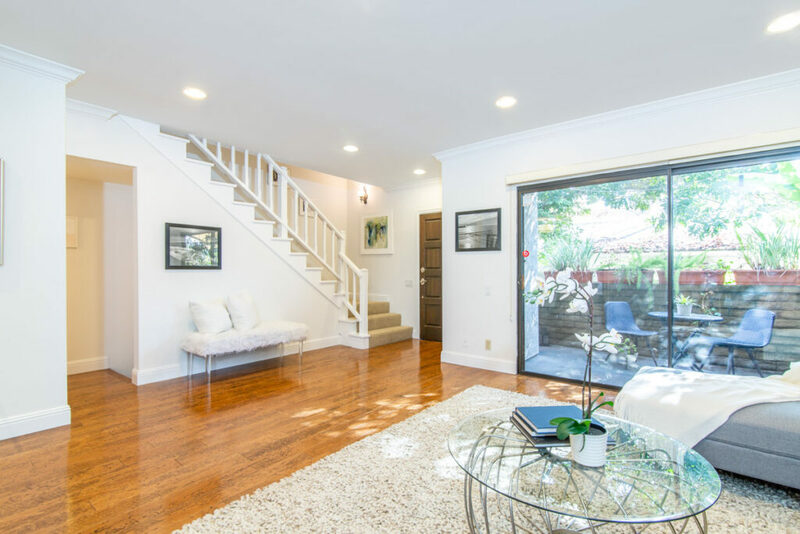 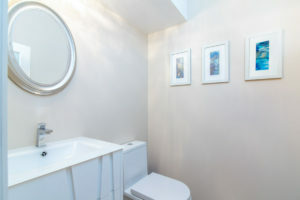 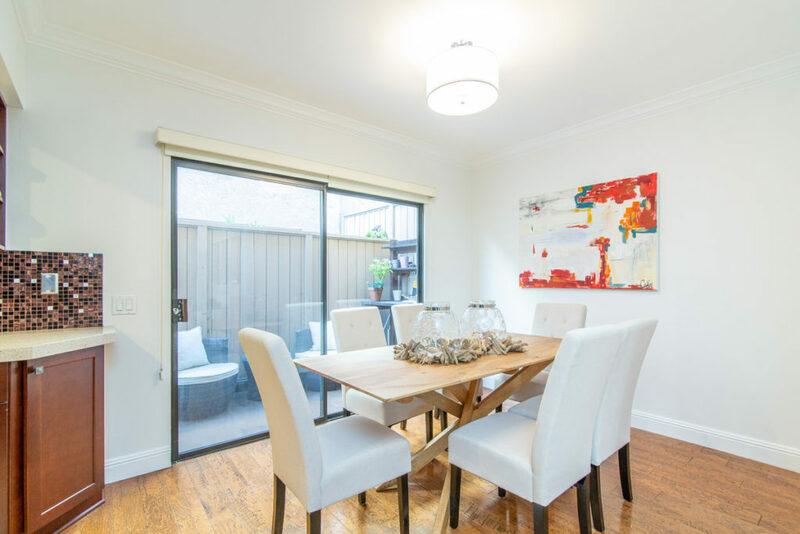 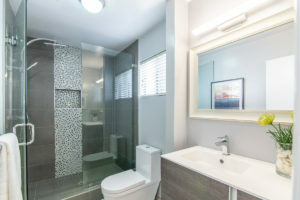 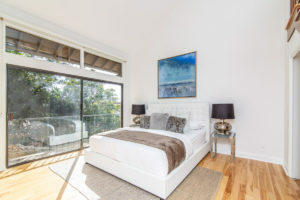 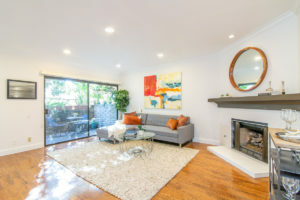 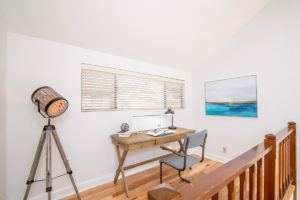 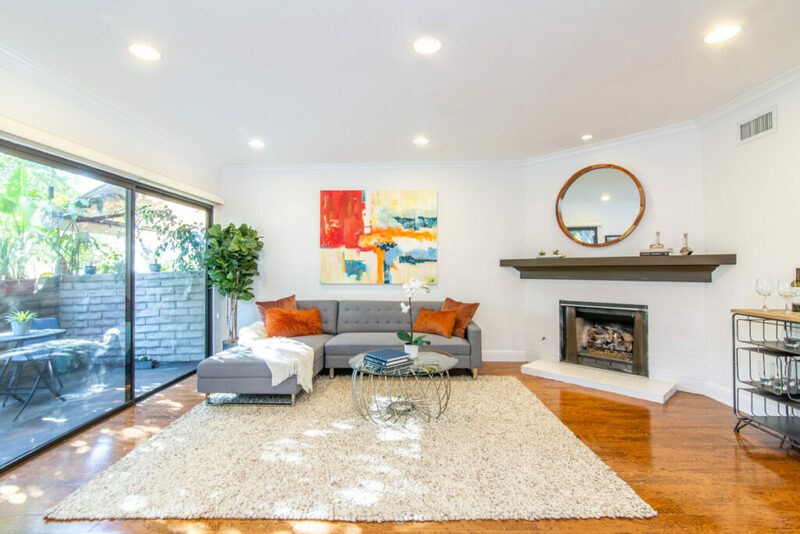 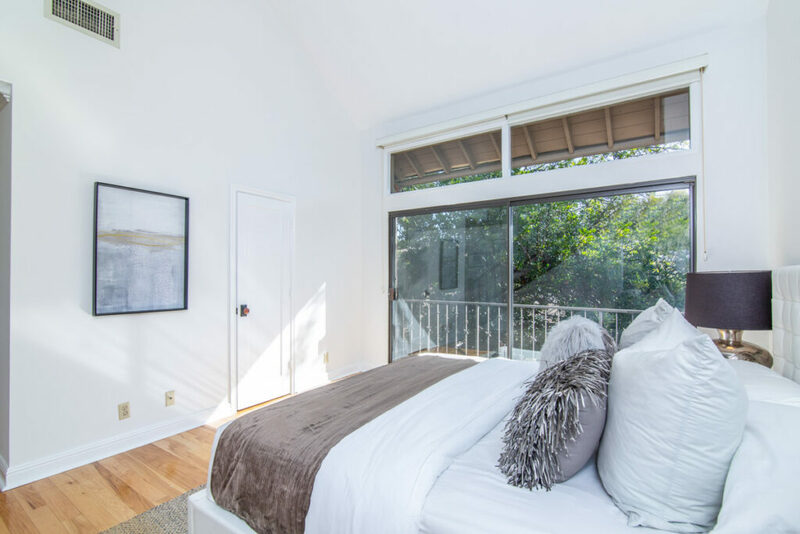 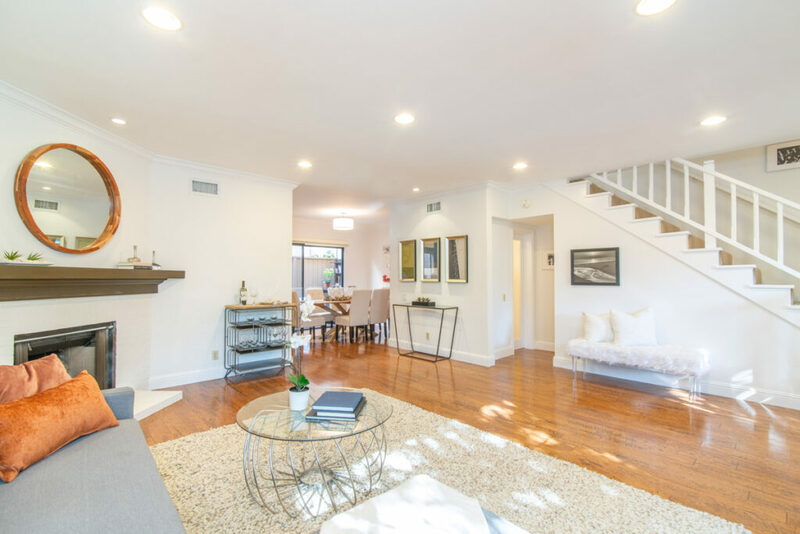 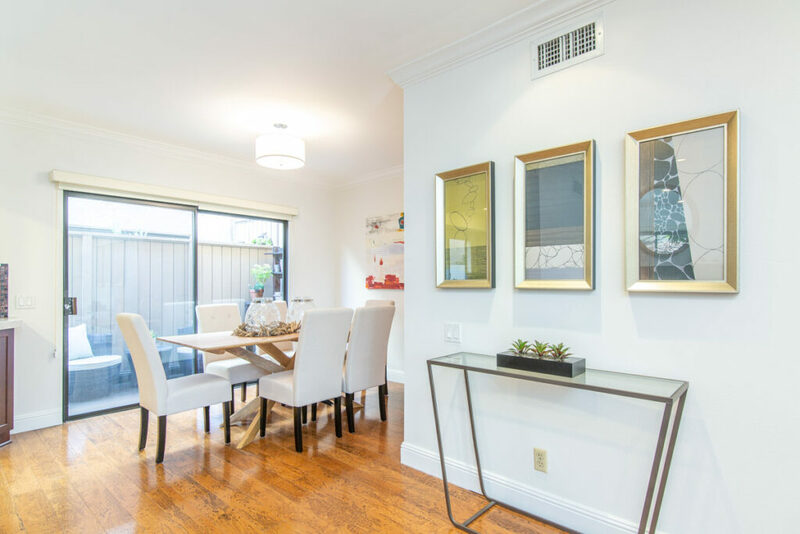 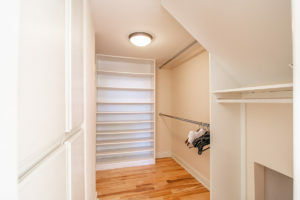 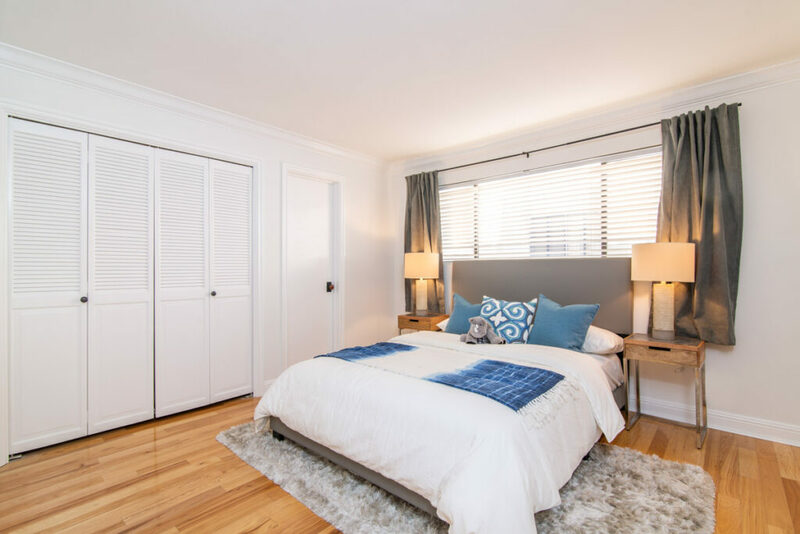 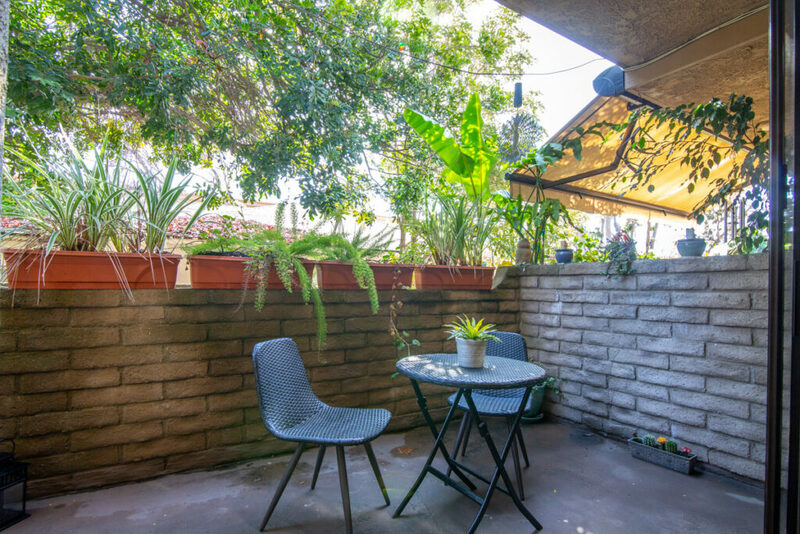 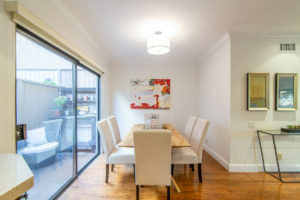 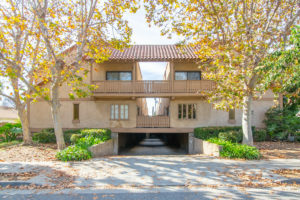 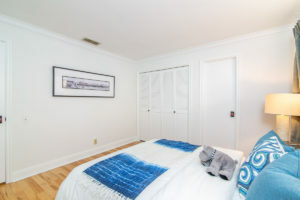 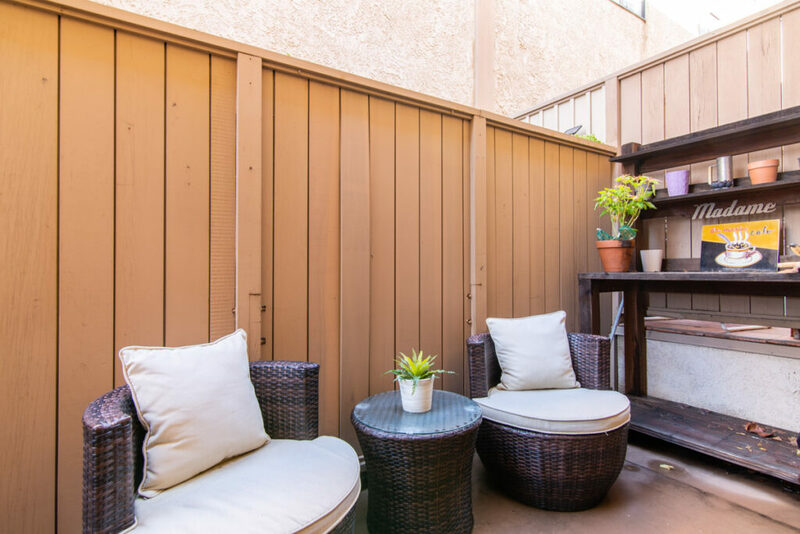 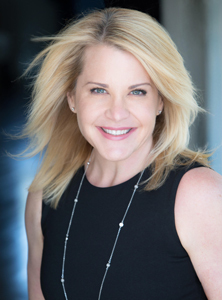 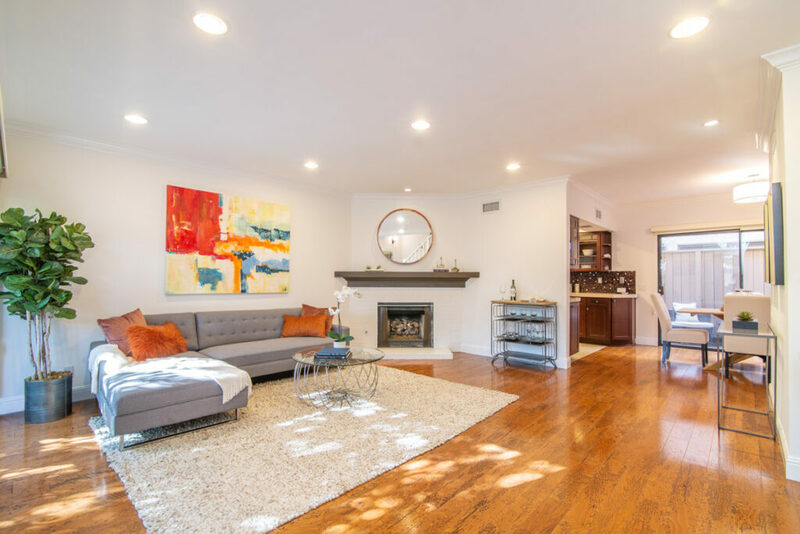 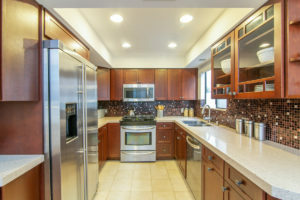 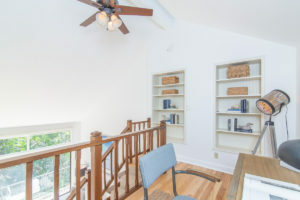 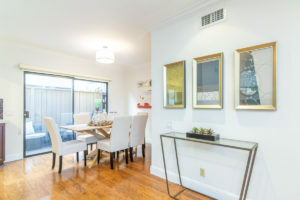 Where in Santa Monica can you find a remodeled 2 bed/2.5 bath townhouse with chic, just-completed baths, a remodeled kitchen, ample outdoor space, a private garage, central HVAC, inside laundry, new paint/carpet, laminate/hardwood floors AND a loft perfect for home office, yoga, or zen retreat…. 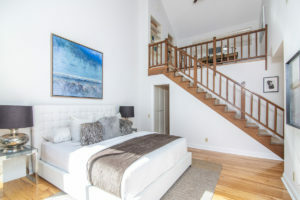 all for under $1M? 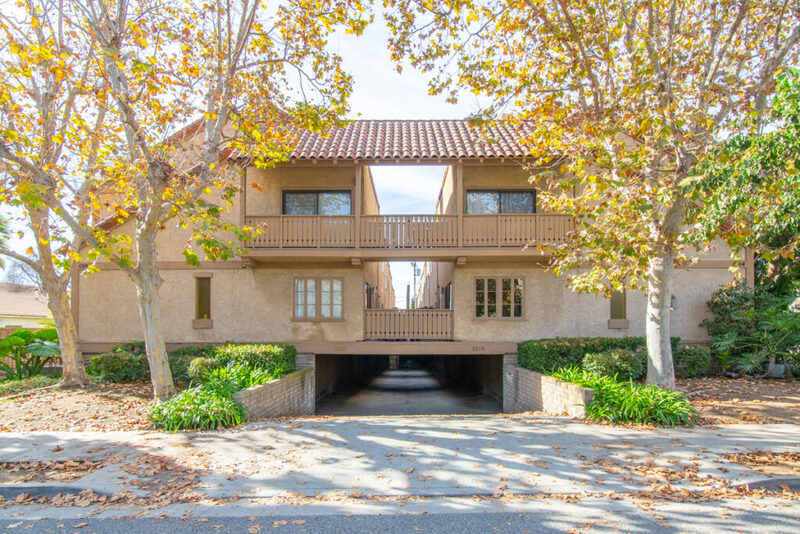 Well, right here at 1508 Berkeley #C! 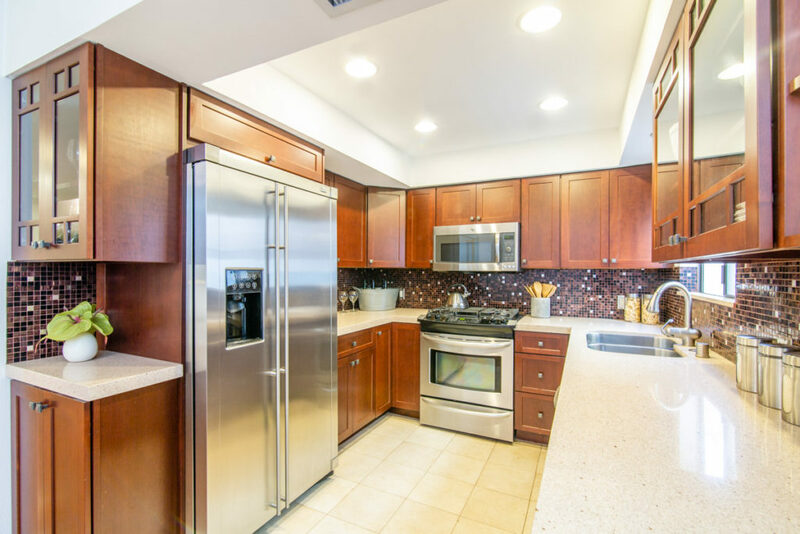 Beautiful open kitchen with dark wood cabinets, neutral stone counters, and stainless-steel appliances. Living room with high ceilings, fireplace, and glass slider opening to spacious patio. Master suite with lofted ceilings, walk-in closet, gorgeous bath with dual sinks and stylish, glass-enclosed step-in shower. 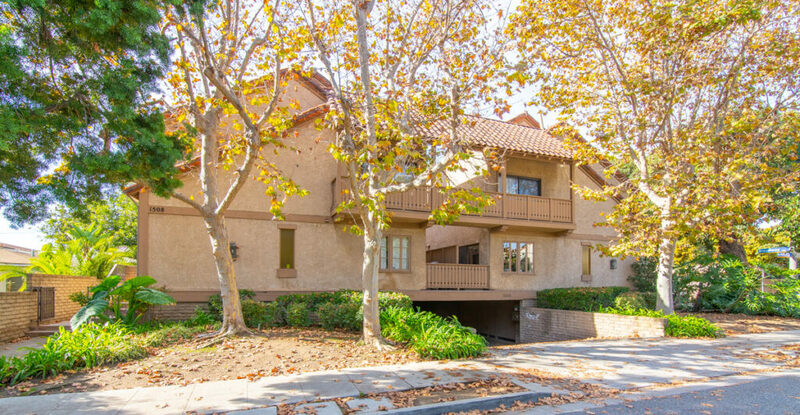 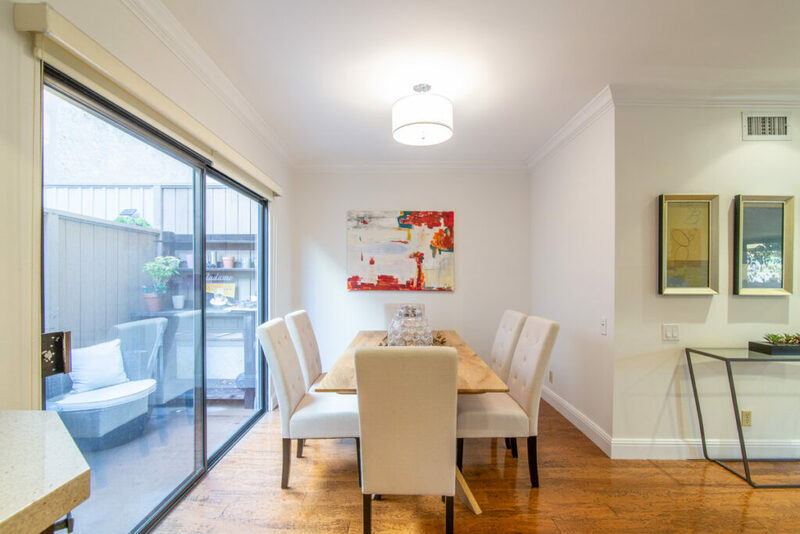 Convenient location just minutes to shops, restaurants, coffee and the Expo Line. 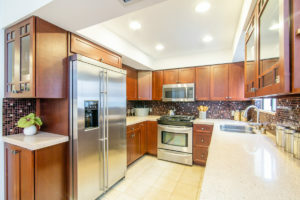 What a great opportunity to move right in to a done home, just in time for the holidays.